The Church is called to be a prophetic declaration of the Kingdom of Heaven on earth and has been given prophetic gifts to discern what God is doing and to equip others to do the same. Freedom House, The Rock, and Glenridge Church are hosting a conference with Adam Thompson (Author of The Divinity Code) and Paul Tothill that will help the Church better understand how God uses Dreams and Visions to speak to us. 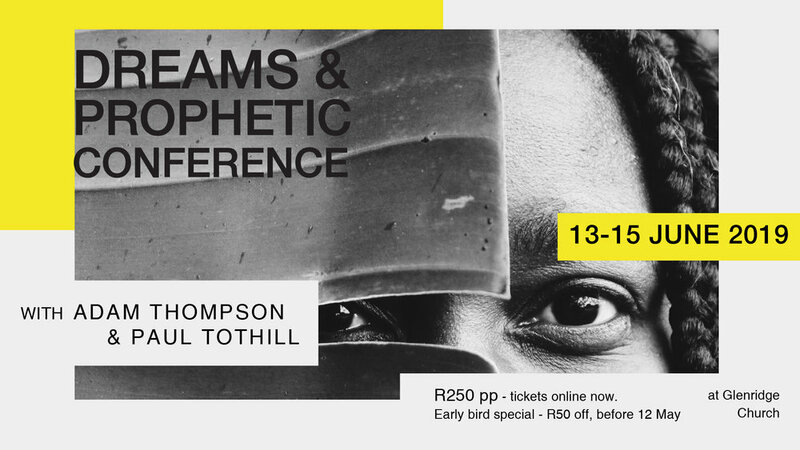 If you want to be equipped in understanding and interpreting Dreams and Visions, don’t miss this opportunity! Grab an Early Bird Discount if you purchase your tickets before 12 May. Use the code: DREAMPRO2019 at checkout to redeem.